Actually the Berger 7mm 180gr Match Hybrid Target has a higher BC then the Berger 180gr Match VLD Target. You have a sharp eye. At the time my information was submitted to 6mmBR, there were no Hybrids. 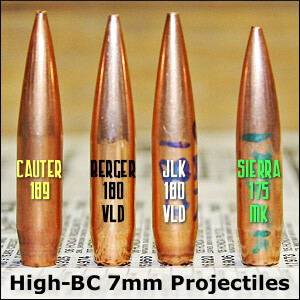 Since Bryan Litz teamed up with Berger, the science and craft of making long range precision bullets has changed for the best.